... support the highest quality real estate degree and executive education programs that prepare both students and industry professionals alike for tomorrow's real estate environment, specifically the MS in Real Estate Development. The George Mason University Masters in Real Estate Development (MRED) program—now located on our Arlington campus—prepares you for key positions in real estate development. A carefully designed master of real estate development curriculum providing the practical skills needed to understand, structure and lead successful real estate development projects. A forum for professional development presenting you with unique opportunities to connect with the Northern Virginia–metropolitan Washington, D.C. real estate development community through Mason’s Center for Real Estate Entrepreneurship. To further its mission of advancing real estate research and education, the Center for Real Estate Entrepreneurship sponsors the following programs and events. If you are interested in joining us on these initiatives—or would like to propose other ventures in support of real estate education and research in the national capital region—we welcome your ideas. Taught by the area’s leading subject-matter experts and attended by development professionals throughout the region, these topic-specific workshops cover subjects such as “The Art and Science of Parking Real Estate Projects,” “Due Diligence for Commercial Real Estate Transactions,” Project Management for Real Estate Professionals,” and “Business Development for the Real Estate Industry.” A comprehensive five-day workshop on real estate development is also offered twice a year. Also offered: training sessions on Excel and Argus software for real estate financial analysis. Working with the area’s premiere professional associations, the Center for Real Estate Entrepreneurship sponsors regional conferences on topics of immediate relevance to the development industry. Recent conferences have focused on emergence of the residential micro-unit design, high-rise construction using engineered timber building frames, and disruptive technologies affecting the Northern Virginia apartment market. The Center for Real Estate Entrepreneurship hosts regular speaker panels featuring the views and thought leadership of real estate industry leaders on trends and issues impacting real estate design, development, construction, management and use. Recent panels include “Financing Small Scale Development Projects” and “Building for Affordability, Health and Aging”. These on-site small group sessions give MS in Real Estate Development students and other area professionals an up-close look at the most innovative and successful projects underway in the capital region. Recent tours have featured redevelopment of obsolete retail properties, a successful conversion of an office building to multifamily, and an award-winning affordable housing project. Held exclusively for Mason MS in Real Estate Development students and alumni, these monthly third Thursday events offer an opportunity to interact with successful real estate professionals in a casual setting conducive to mentoring and networking. Each Role Model Thursday begins with a short presentation from real estate practitioners who discuss lessons learned along their career paths and what skills are most important to success. Recent presentations have touched on careers in transit-oriented development, historical preservation design, big data analytics in real estate, and affordable housing development. The Center for Real Estate Entrepreneurship features special lectures and master classes by senior real estate practitioners that are recognized as experienced market leaders. These lectures cover their career development and business philosophy, and a discussion on what elements have made their companies and projects successful and enduring. Recent lectures have been given by Toby Bozzuto on “Does Good Design Create Value in Real Estate” and Gary Rappaport on “Investing in Retail Properties and Structuring Partnerships”. The upcoming lecture for 2017 is by Monty Hoffman on “Building Enduring Communities”. This signature event provides a new generation of real estate development professionals with a rare opportunity to share in the wisdom and wit of the visionary leaders who have shaped and continue to define the capital region. The Center for Real Estate Entrepreneurship was honored to host Til Hazel at its inaugural event in February 2014, Bob Buchanan in 2015, Ray Ritchey in 2016 and Milt Peterson in 2017. 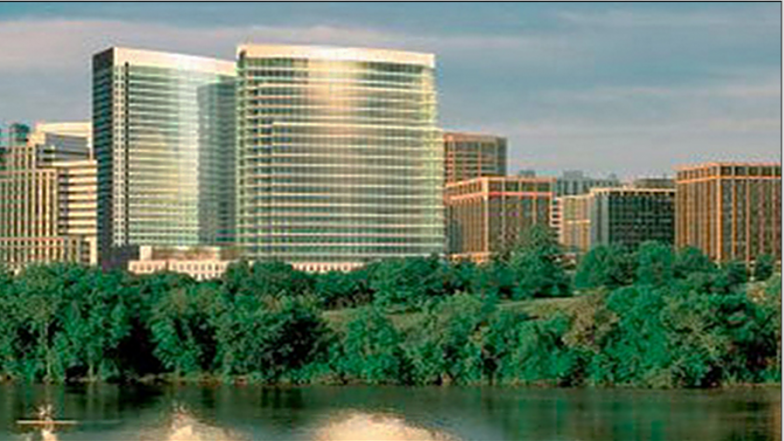 The center provides a forum and advances thought leadership and research on new trends, practices, technologies and policies that affect the ways our communities and buildings in metropolitan Washington, D.C., are planned, designed, constructed, and used with a view towards improving our region’s quality of life.